As your legislator, I have made addressing our state’s opioid epidemic a top priority and have worked on and passed legislation in an effort to reduce abuse by limiting the availability of opioid medication. 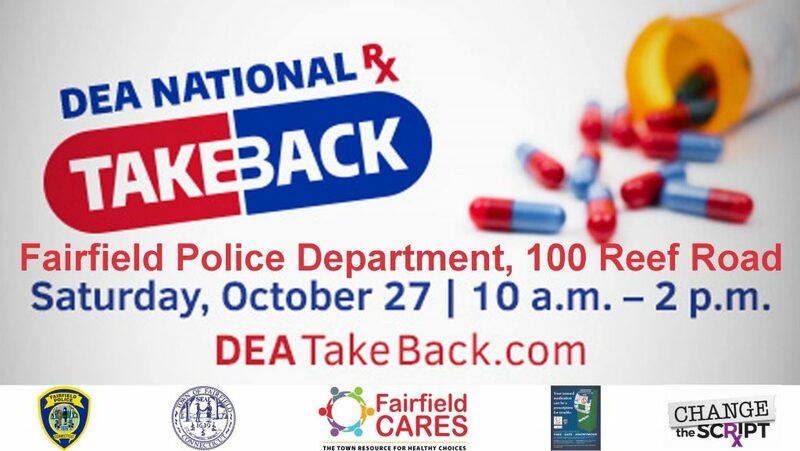 Tomorrow, on October 27, the DEA has planned their National Prescription Drug Take Back Day for Fairfield. This event is part of a nationwide initiative to prevent prescription drug abuse and theft by encouraging residents to empty their homes of potentially dangerous expired, unused, or unwanted prescription drugs. Collection boxes for opioid medication will be present at the Fairfield Police Department, 100 Reef Rd, from 10a until 2p tomorrow. There are no forms to fill out and no questions will be asked. it is intended to be anonymous. Studies show that a majority of abused prescription drugs are obtained from family and friends and accessed in home medicine cabinets. I encourage you to take part in this initiative if you have unused prescription drugs to dispose of. Visit the DEA website at dea.gov and click on “National Prescription Take-Back Day” for more information. Another way to help to help at-risk members of our community is to participate in the Out of Darkness Walk in Westport, sponosored by the American Foundation for Suicide Prevention, which is also tomorrow, October 27th, at Sherwood Park in Westport. This event is aimed at raising awareness for mental health issues and to provide resources for those struggling with thoughts of suicide. Registration time begins at 11a and the walk will commence at 12p. Again this year, I will be walking with Team Emma. For more information, including registration forms, please click on this link. Please do not hesitate to contact my office if you have further questions regarding drug policy, or any additional inquiries you may have relating to state government. I can be reached by e-mail at Brenda.Kupchick@cga.ct.gov or by calling 1-800-842-1423.